I find myself in a dark and strange room; a thin shaft of light exposes my face in the mirror. the encounter frightens me, I feel dizzy, old demons come back to life; everything moves, energy is freed, the metamorphoses follow one another and transform the flesh and the mind. My camera captures at my impulses' pace, then flies away with me to reveal passages of the being. Reflections on the Theatre (Chap. 6 "Antonin Artaud") by Jean Louis Barrault. Edward Scheer (ed), 100 Years of Cruelty: Essays on Artaud (Sidney, 2000). The impact of the work of Antonin Artaud in the fields of art, writing, and performance has been colossal, expanding and multiplying its potential as time sifts through its repercussions and ricochets, and as previously unknown work has been made available. Artaud's acutely lucid investigations into the nature of language and representation, of society and madness, and of the human body and gesture, have all proved extraordinarily seminal, especially in French theoretical work from the mid-1960s to the present, in the writings of such figures of Jacques Derrida, Gilles Deleuze and Julia Kristeva. In the 1960s, it was Artaud's theatrical work - the theory and imagery of the "Threatre of Cruelty" - which proved a huge source of world-wide inspiration for experiments in theatrical form and staging, But in more recent years, it has been Artaud's non-theatrical work which has provoked the most intense attention. Exhibitions of his drawings have been held in Paris, at the Centre Pompidou, in 1987 and 1994; in Marseilles, at the Muse Cantini, in 1995, in New York at the MoMA, in 1996, and in Vienna, at the Museum Moderner Kunst, in 2002. Retrospectives of Artaud's work in cinema have been held in Paris, at the Centre George Pompidou, in 1987, and in London, at the National Film Theatre, in 1993. And Artaud's recorded work for radio - notably his incendiary final project of screams and protests, Pour en finir avec le jugement de dieu, which was completed only six weeks before his death and whose transmission was prohibited - has been issued in its entirety on compact disc in France, in 1995. All of these manifestations of Artaud�s previously hidden or inaccessible work have accentuated the need constantly to re-assess and interrogate his language and images as new, intersecting constellations. Barber then says that his book solely concerns Artaud's non-theatrical work. It explores his work in cinema in the 1920s and 1930s, and his attempts to find filmic forms for his theories of cinema, which prefigure directly his subsequent work in the areas of drawings and recordings. The book investigates the intricate trajectory of Artaud's drawings - from intentionally decimated magic "spells," to fragmented imageries of the human body executed in a lunatic asylum, and ultimate to facial portraits conceived as raw excavations of human identity. Finally, the book examines Artaud's recorded work of the end of his life as the most intense realization of his plan to anatomize and recast the entire conception of the human body This is one of the most astonishing, extreme and radical projects in the culture of the 20th century. All of Artaud's visual work is multi-dimensional, both ferocious in its anti-social polemic and densely nuanced in its visual texture. Even Artaud's scream is visual in intent - a visualization of the human body as Artaud projected it, in his uniquely ambitious and challenging final work. In a constellation that we propose to examine on some of the research pages here, Deleuze's philosophical writings as well as his commentaries on theatre and performance might yield another fruitful perspective on Artaud and its relationship to butoh and the "body in extremis." Stephen Barber, Hijikata: Revolt of the Body, Chicago: Solar Books, 2010. Christiane Berger, Koerper denken in Bewegung: Zur Wahrnehmung taenzerischen Sinns bei William Forsythe und Saburo Teshigawara (Bielefeld 2006). Bertolt Brecht, Brecht on Theatre: The Development of an Aesthetic (ed. And trans. John Willett) ( London, 1964). Ramsay Burt, "History, Memory, and the Virtual in Current European Dance Practice," Dance Chronicle, 32:3, 442 - 467. 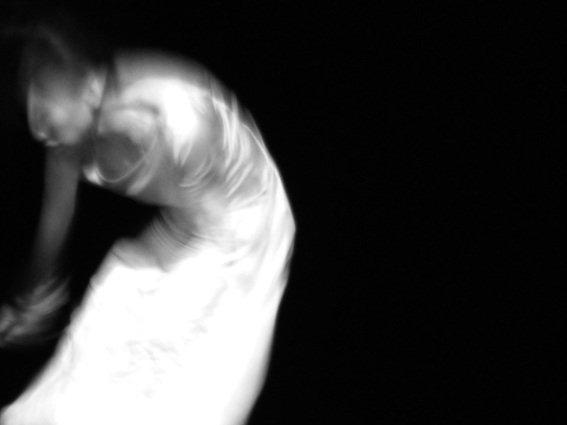 Jose Gil, Movimento Total: O Corpo e a Dan�a, Lisboa: Antropos, 2001. Kazuo Ohno /Ohno, Yoshito: Kazuo Ohno's World from without and within. Trans. John Barrett (Middletown, 2004). Tadashi Suzuki, Footwork (Tokyo, 1982). Sondra Horton Fraleigh, Dancing Darkness: Butoh, Zen, and Japan (Pittsburgh, 1999. Sondra Horton Fraleigh, Dancing Identity: Metaphysics in Motion (Pittsburgh, 2004). Sondra Fraleigh & Tamah Nakamura, Hijikata Tasumi and Ohno, Kazuo, London: Routledge, 2006. 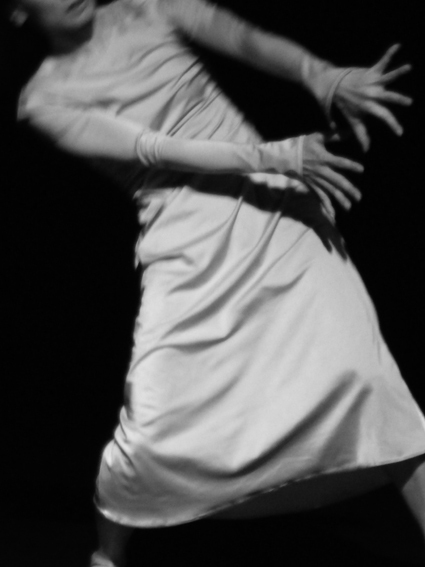 Sondra Fraleigh, Butoh: Metamorphic Dance and Global Alchemy, (Chicago, 2010). This event is programmed by the Centre for Contemporary and Digital Performance and supported by the Brunel University Graduate School, Goethe-Institut London, and DAIWA Foundation Japan House.